Nine months pregnant, it won’t be too much longer now. I’m so behind on everything. I pulled this post up to share the crochet pattern purchases that I bought and the title was still under “April 2018”, even though May is half over already! And May is such a crazy month here, with a million birthdays, graduation parties, school recitals, and so on. I’m going to be so happy when everything is over and calm and I’m cuddling with my new little one. I’m so excited, and I’m so ready to be done with this pregnancy. It honestly wasn’t even an overly difficult one, until right about 8 months hit me like a ton of bricks. Nonetheless, I’m still so excited and counting down the days! That’s why adorable little baby sacks like this are all over my crochet pattern purchases from the past month. They grow so quickly, and I’m still finishing up another cocoon that I started, but this one is so lacy and beautiful that I hope to be able to find time to make this one too. Plus just looking at the baby in this photo is making me emotional with anticipation! I have a bunch of pillows whose cases are old, worn out, and ready to be replaced, so when I see a great square that works so perfectly as a pillowcase, I am all over them. This one is so beautiful, too. I have a preference for organic patterns over geometric to begin with, and that shows everywhere through my home decorating. So a square like this, with its petals and popcorn puffs and smooth curves is going to be a perfect addition to my seating areas! I can see this pattern in the colors of my home, all in different placements…. ohhh, just thinking about it makes me want to get started right away! Omg, the texture! If I didn’t love working with color so much, I think I would honestly consider making this as a single color crochet blanket. Or maybe something with an analogous color scheme, shades of grey with a splash of one bright color or something to emphasize the floral and leafy aspects. My mind is already creating a ton of possibilities. And the sizing seems to be perfect for a new baby, too. I don’t want to wish for more weeks being pregnant in order to fit more crochet projects in, but on the same token, I sure wish I could speed-crochet so that something like this could be done in the next few weeks! 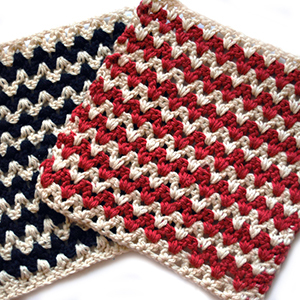 There are some crochet square patterns that I look at and try to figure out how to bring out the best features and there are some that are just overwhelmingly beautiful and seemingly one can’t go wrong with however they place color or stitches. This one is definitely one of the latter. I’m definitely adding this to one of my sampler blankets, and I even have a particular one in mind. The $2 price tag is definitely a fair price for what really looks to be an amazingly gorgeous square, and I’m excited to have it in my queue. Isn’t this gorgeous? The last thing I need right now is yet another blanket to start and get halfway done with, but who cares what I need? haha. This blanket looks like it uses a lot of really interesting tapestry patterns, and I just love its uniqueness and variety. Even the edges that are not woven in give it a lot of its own character. I really like it, and the color combination possibilities here are just endless and make me want to go stare down my yarn shelf until I find the perfect combinations. I love Willowtree figures! I got my first as a mother’s day gift years ago when my eldest was born, and I’ve steadily built up a tiny collection of the ones I love. They never fail to evoke an emotional response from me – the emphasis on the love of parents and children and families together. So when I saw these crochet versions I immediately decided that they would be fun to make, especially considering that this is my life right now, and will be for the next months! Okay, this is not crochet, and I’m not a very good knitter. BUT. We just had another royal baby born and now there’s a wedding coming up. I’m not British at all, but this all the babies and hullabaloo going on the other side of the pond has brought me back to this sweet little bonnet that Princess Charlotte was introduced wearing. I’ve heard that in the photo the bonnet is on with the wrong side up, but regardless, it’s so very pretty and classic that I thought I’d try my hand at it anyway. And did you know that little Louis was also wearing a similar one for his debut photos as well? I highly doubt I’ll be anywhere near done by the time my little princess is born, but practice makes perfect, and I may as well start somewhere! Finally, I picked up this pattern for Forest Chains. I have a feeling that I made this square, or one that is really similar anyway for my BAWL blaket some years back, but after some (half-hearted) searching through some of my old files, I figured I would just buy the pattern again and have it on hand for any future projects. Let that be a lesson learned, be sure to save your patterns in an easy location to find them in, unless you have automatic saving done for you, like in the case of Ravelry downloads. 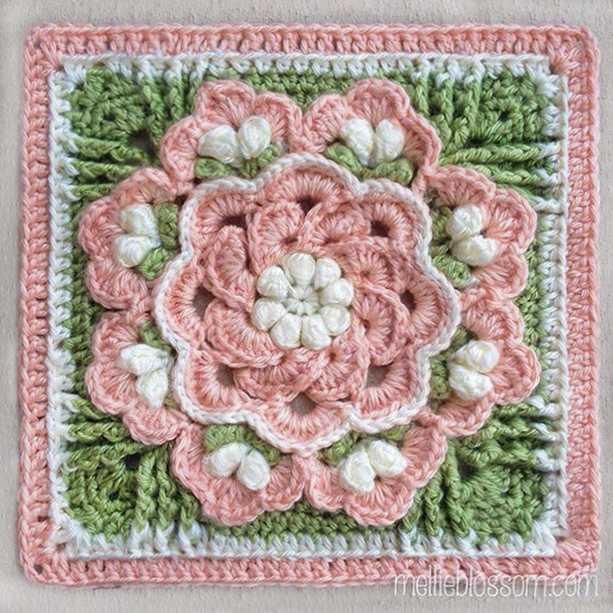 I do love the simplicity of this square though, and a couple of bucks makes it an absolutely worthy pattern. So those were the pattern purchases I made in April, even though it’s May. And depending on this baby, I may even treat myself to a few more, even though I know any possibilities of me actually getting a chance to make them are not very high (unless I’m blessed with a very good sleeper! But I’m not holding my breath on that! lol). Regardless of when I get to them, though, it makes me happy to know that all these beautiful options and patterns exist and that keeps the creativity and inspiration alive in my mind. As with any of my other crochet pattern purchase posts, these really are all just my own personal preferences for patterns. I am not getting compensated in any way, nor have I even been in contact with any of the designers or anything of the sort. I do enjoy supporting individual designers, though, and believe that when they go out of their way to write a pattern that we all benefit from, they deserve to be compensated through buying that pattern. So if you feel the same, go and support these great crochet contributors and enjoy creating some beautiful crochet items!